Heart to Heart: A Cardinal Newman Prayerbook is a comprehensive gathering of the luminous prayers of the newly beatified Cardinal John Henry Newman. The only Newman prayer book, it is ideal for both those who love Newman's work and for those getting to know Newman for the first time. Blessed Cardinal John Henry Newman, a priest and scholar who is among the most famous modern converts to Catholicism, was beatified by Pope Benedict XVI in 2010. Newman also had a tremendous impact on such twentieth-century Christian thinkers as G.K. Chesterton, C.S. Lewis, and Pope Benedict. His prayers are sincere, emotionally charged cries to God, as well as thoughtful, meditative lessons on the great themes of the Christian faith. Newman is still well-loved in the English-speaking world as both a writer and thinker, and as someone who loved Christ and the Church deeply. 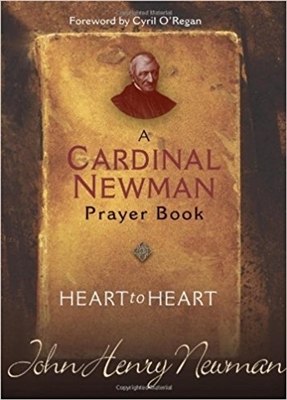 Unlike other compilations of Newman's work, Heart to Heart is the only complete prayer book, and it offers readers many of Newman's most famous and heart-felt prayers. The book comes with suggested devotions to help readers pray at leisure daily, weekly, and seasonally.